Product prices and availability are accurate as of 2019-04-11 17:30:00 EDT and are subject to change. Any price and availability information displayed on http://www.amazon.com/ at the time of purchase will apply to the purchase of this product. Approx: 21" by 11" (top measurement). 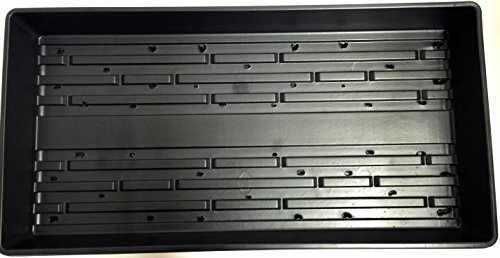 20" by 10" bottom of tray - See product description below for precise measurments Quantity 6 - Durable Plastic - WITH Drain Holes Perfect for hydroponic growing and seed starting Reusable - Great for Greenhouse, Seedlings, wheatgrass, microgreens and more.